Both models are currently available exclusively from Dell India’s website. Dell launched two new mainstream laptops in its Inspiron 5000 series in India yesterday: the Inspiron 5480 and the Inspiron 5580. The former is a 14-inch model, and the latter, a 15-inch. Both models come with 8th-gen Core series CPUs from Intel and Dell Cinema, Dell’s proprietary set of technologies to refine video consumption. The Inspiron 5480 starts at Rs 36,990, while the larger Inspiron 5580 starts at Rs 37,990. Both the Inspiron 5480 and Inspiron 5580 come with 8th-gen Whiskey Lake CPUs from Intel, according to a recent report by Hindustan Times. Both models are offered with Intel’s Core i3, Core i5, and Core i7 CPUs. DDR4 RAM on offer goes up to 32GB. Some variants of the two even get Intel’s Optane memory. The displays on both models offer an anti-glare finish and Full HD resolution. Ports include the often-missed USB Type-C. Some variants of the Inspiron 5480 and Inspiron 5580 weigh 1.48 kilogrammes, which is in the neighbourhood of most Thin and Light laptops, like the Lenovo IdeaPad 530S and the HP Pavilion x360. Dell Cinema is a new package Dell is including in many of its new consumer models in an attempt to heighten users’ video-watching experience. “Tech-savvy users who know how to get the maximum from their notebook and are looking for style statements when it comes to personal technology will surely appreciate these machines,” commented Alen Joe Jose, Director of Product Marketing at Dell India’s Consumer and Small Business division. A noteworthy new feature on the Inspiron 5480 and the Inspiron 5580 is the new miniaturised web camera that features a special four-element lens to offer high quality video in low-light conditions with the aid of Temporal Noise Reduction. 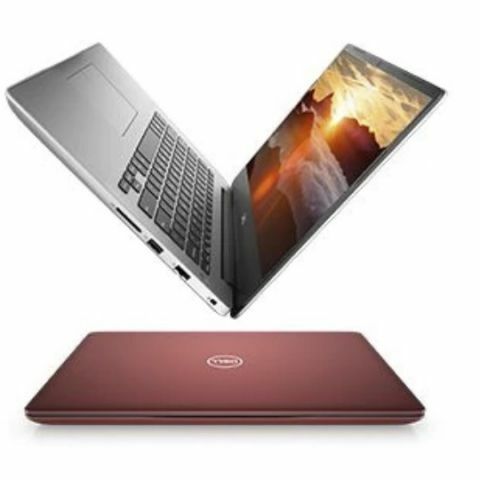 The two new laptops from Dell are available for sale currently in Platinum Silver, Burgundy, and Ink colours exclusively from the Dell India website.